Your Detroit roofing has several parts that work together to keep your home safe from sun, rain, wind, or snow. Each part has its own function in your roof, and as a whole, it results in a quality and well-performing roof. The base layer is called the roof deck, and a felt paper or rubber membrane underlayment covers the exposed roof deck parts. Roofers use ice and water shields, flashing, and starter strips to keep water at bay. Shingles make up the most of the roof. Roofing contractors in Detroit use shingle caps on the very top of the roof. To maintain shingle temperature, roofers also ensure proper ventilation. Even a quality roof is only as good as the professionals who install it. To make the most of your roof, be sure you work with experts like Kroll Construction. 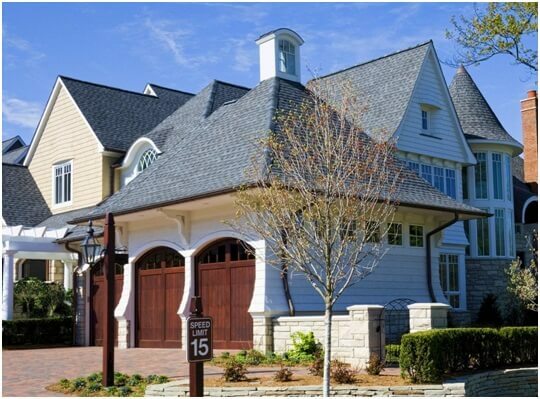 Professionals know how to handle different types of roofing materials and maintain a clean job site. Many roofers will guarantee the best roofing for your home, but make sure you work with licensed and insured contractors for your project. This way, you can have access to high-quality materials and stay protected in case anything happens during the replacement process. A qualified roofer will give you a list of references, return calls, talk about materials and warranty, and offer tips. Setting a written contract or estimate clarifies the setting of the job. A complete contract includes the scope of work, price of materials and labor, timeframe, debris removal, and warranty. When you familiarize yourself with how a roofing project goes, you can make an informed decision for your roofing in Detroit. Kroll Construction will guide you throughout the process for your convenience. We keep Detroit homes safe through quality materials, skills, and knowledge. Our years of handling roofs ensure that we can offer the best roof that can withstand local climate. Call us today at (888) 338-6340 for more information about your roof.